The thing is I just discovered this new magazine that features the best of the underground and undiscovered music in this region. I’m not particularly interested in the contents of the magazine, only in the free CD compilation that they give away during each issue crammed with Asian’s finest Indie (or not so Indie) goodness; those that I’ve always been planning to come around to hearing but putting off due to unaccountable factors. It’s tremendous fun to discover music on your own, you’d have to agree. I found that I really enjoyed more than half of the contents of the CD which is kind of hard to believe if you really put your mind to it. These are some that are appealingly good and some of which I’d like to share with the rest of you, and do bear in mind that it will only stay there for a short amount of time only, but I’m not revealing till when. So quick, do yourselves a favour; download these before they’re gone. 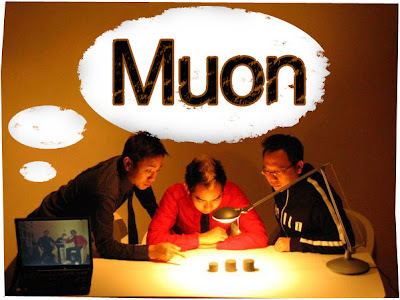 It’s rare to find a brand of folk-rock music lurking amidst the Asian music scene, especially the ones that are yet to be discovered. I’ve always had a soft spot for music that’s as minimal as this, accompanied only by the occasional acoustic strum. 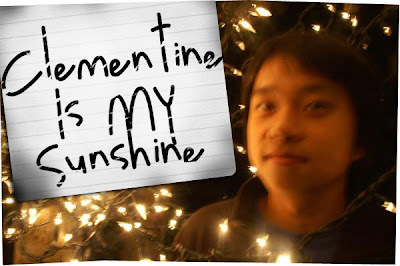 So Clementine is My Sunshine easily earns my truest devotion. Jon Wu, despite the fact of only being 16 years of age proves himself wiser beyond his years in his capability of writing songs that are wonderfully melodic and sweet. The song ‘Mong Kok’ refers to a place in Hong Kong and is said to be the earliest (as in rough, raw, minor editing) version of it. I don’t often choose these kinds of songs, but I thought it had some of those unique flair and excitement about it that I deem appropriate in extending to another person’s hearing. 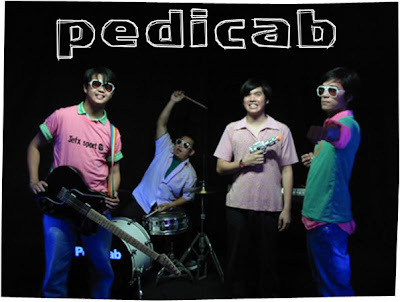 It’s ‘Pinoy’ rock (plus psychedelic rock) that they do and as oppose to other kinds of rock music available, it’s no different if not superbly better; ‘Pinoy’ (so I’ve read) is like the saying, ‘only in the Phillipines’. Their live performances (so I’ve read as well) is often explosive and brimming with energy, this one track however is a more relaxed number compared to their others but highly enjoyable nonetheless. Chill-out music, ambient – whatever you wanna call it, but first and foremost-ly it’s definitely goooood. Music such as these are great but boast a certain familiarity because you’ve probably heard it being played in the background of an exclusive store or a hotel lobby. Like what Nick Hornby would say, “How is it possible to love or connect to music that’s omnipresent as Carbon Monoxide?” So for the mean time, while it still hasn’t been thoroughly infected with sheer overuse, it certainly calls for our utmost attention despite of it lasting over a staggering 10 minutes long. I like it though. Finally we’ve come to a band that I can shamelessly brag about. 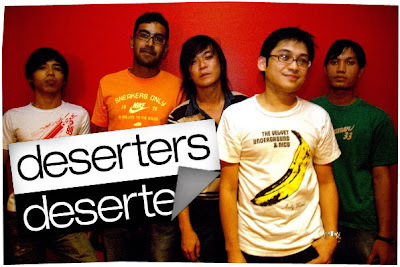 Deserters is a Malaysian based Indie rock band that’s every bit satisfying as it’s overly infectious. So, I might be a little biased, what with the fact that the band hails from my own homeland plus the lead used to be a DJ in my most favorite once upon a time ‘radio show’ - but is now cancelled for reasons that are beyond me - called ‘Clash’. It was through that show that I was acquainted with remarkable artists such as Feist, Fields, Midlake and etc. ‘Last Chance’ is their first single on their first ever (4 songs only) EP which carries the same title. I’m not sure whether it’s just me or the song, but ‘Last Chance’ (I’m only referring to the intro) contains a palpable Coldplay reminiscent. P/s: - None of these fit your jangle? Stream the whole compilation at Junk’s official website.